Good financial advice helps you find and define your goals and dreams. It helps you transform your resources into your personal vision. A good Financial Advisor listens to you, responds to your personal needs, and provides “outside-of-the-box” thinking. With these principles in mind, Todd Porterfield specializes in working with clients in their mid-30s to mid-50s, the XY Generation, who are still on the road to financial independence. Todd has also worked extensively with educators across the country and in his home state of Oregon. He has a deep understanding of the Oregon PERS system and how to find the best strategy for your situation. If you are located in the Portland or Central Oregon area, he is available for in-person meetings. He is also available for virtual meetings if you are located in another region. 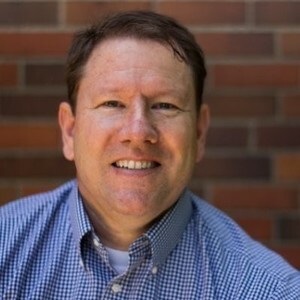 Todd graduated from Oregon State University with a degree in International Business and was granted the title of Certified Financial Planner(TM) in 2016. As a CFP(R), Todd has a fiduciary duty to his clients, a higher standard than most advisors. Being a fiduciary means putting client’s interests first at all times. Todd Porterfield is a member of the National Association of Professional Financial Advisors (NAPFA), the Financial Planning Association (FPA), and the XY Planning Network. Todd is actively involved in his community as an active fundraiser for the Leukemia & Lymphoma Society supporting blood cancer research. He also supports the Feral Cat Coalition and the Oregon Humane Society through community projects and fund raising. In addition to this, Todd enjoys his time in the great Oregon outdoors. Certified Financial Planner Board of Standards Inc. owns the certification marks CFP(R), Certified Financial Planner(TM) and federally registered CFP (with flame design) in the U.S., which is awarded to individuals who successfully complete the CFP Board’s initial and ongoing certification requirements.